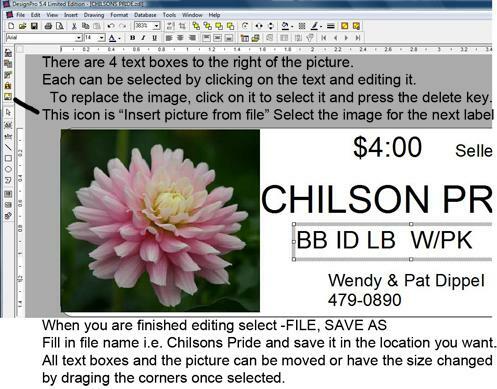 Thanks to Wendy and Pat we have the following description of how to create tuber labels for the sale using the Avery software. 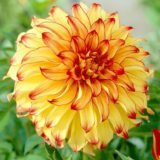 Save the attachments (that you received in the email from Wendy & Pat) to a convenient place (where you can find it) I suggest you create a new folder in My Documents and name it Dahlia Labels. 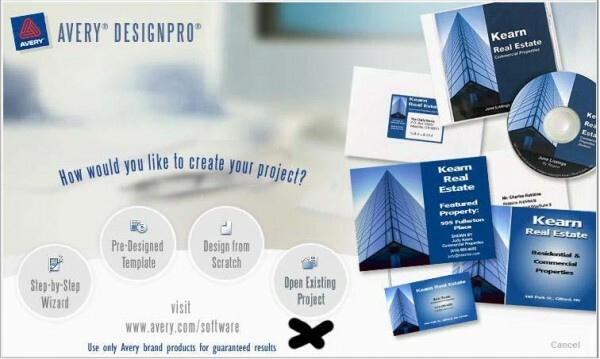 With Avery (installed and open) select open existing project. 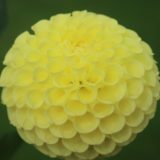 Go to the dahlia label folder and select Chilsons Pride. When you open Chilsons Pride you get the picture below. There is one red tab and several yellow tabs. All work is done in the red tab. in a yellow tab only goes on that single label. 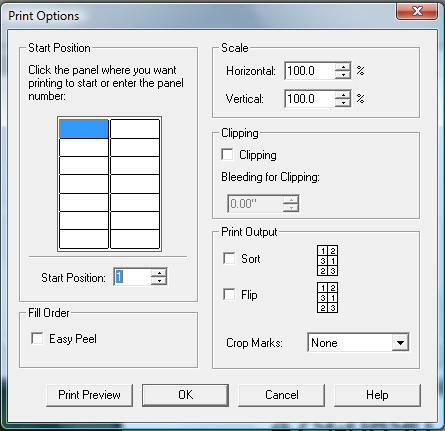 It is much easier to do all work in the red tab and select how many labels of each variety you want with the print program. You will see how easy it is when you print. The first thing to do is set up the label template for the size of the label. 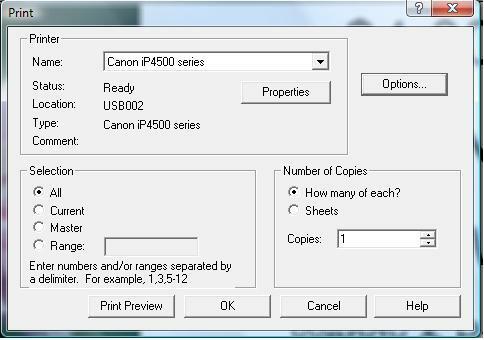 who used the program in previous years the number is 5159 for 1.5 x 4 inch labels. Click File (top left corner) then Print. The Properties box lets you select paper type, print quality, etc. Require i.e. 1-7 to print 7 labels. If you want a full sheet (14) select All. Here is where you select the start position on the label sheet. Print Preview will verify everything is OK. The Options box gives you this. Is set up for. Staples 1400 labels (#5159) for $34.99. an inkjet, but you can not use inkjet labels on a laser.